Lunenburg School of the Arts’ class of 15 students painted for their first time with egg tempera. Egg tempera is a painting medium dating back to at least the 12th century. It is a fast drying painting method using pigments mixed with egg yolk and water as the binder. “Almost 60 years ago, in 1956, the late Alex Colville, through his meticulous teaching, instilled in me an undying passion for painting in egg tempera that has never let me down, even though I’ve let it down many times,” says painter Tom Forrestall. 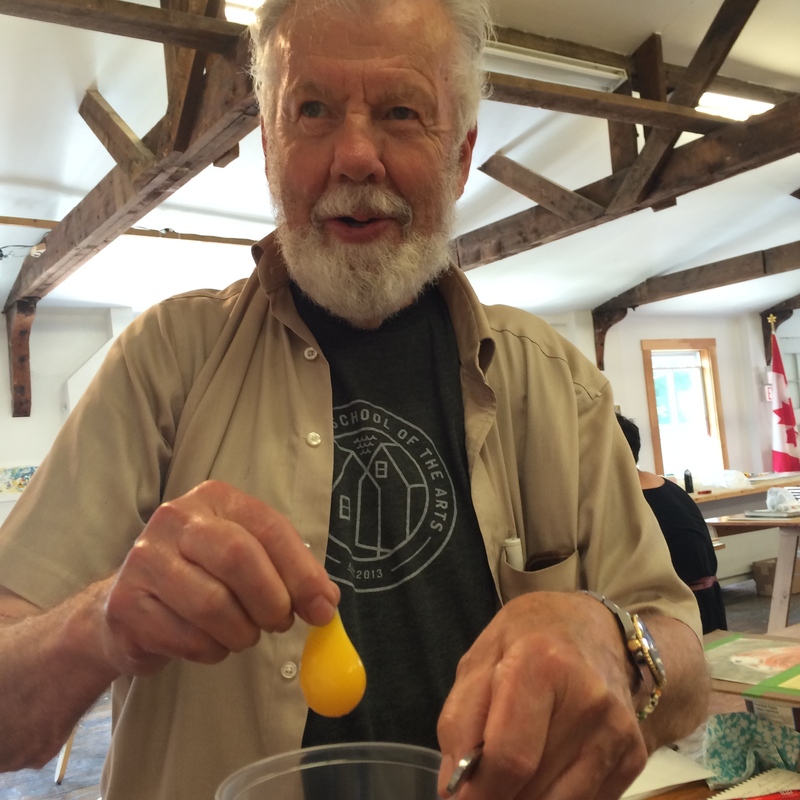 “It’s always a great honour and pleasure to teach the egg tempera process, made all the more so when having such an enthusiastic group as came to the class at Lunenburg School of the Arts. For five days we painted in egg tempera, laughed, carried on a bit and got great work done. Was it five-dozen eggs we went through? Let’s get crackin’…nothing scrambled here!” Tom Forrestall, Painter. LSA’s course, A Lunenburg Sketch-About, is currently in session. Instructor Emma FitzGerald and students can be seen throughout the Town of Lunenburg sketching its historical locations and Townscape, demonstrating that The Town of Lunenburg is our Campus. Full details of summer 2015 offerings can be found on our Programs page.